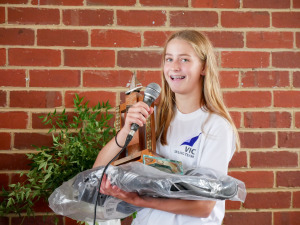 Wow, what a weekend it was for our State Titles at Parkdale Yacht Club. We had a fantastic turn out; 52 competitors from 10 clubs including Portland, Gippsland, Beaumauris, Parkdale, McCrae, Brighton, Rye, Sandringham, Sugarloaf and Blairgowrie. On Saturday both Novice and Open fleets managed three races but halfway through the last race a front hit and the kids got to finish it in 20 knots. Thanks to the many volunteers who went into the breakers to lift the boats (and some kids) out to safely. We were greeted on Sunday with 15-20 knots and big seas as an extra challenge for the kids. Unfortunately the Novice fleet couldn't race in those conditions, but the Open fleet went out for three races. There were 10 and 11 year old Open fleet sailors out in these very challenging that many adults on shore wouldn't have ventured out in, we have some truly courageous young sailors in our Minnow fleet! Sally Danks, in her final Minnow regatta, sailed magnificently to get a perfect scorecard on the last day and so wrap up the Open fleet title (and first placed female). Sam Backwell, Hamish Cowell, Taj Duff and Tom Warner rounded out the top 5. In the Junior Open fleet Lucas James won the crown with a strong performance on the last day, with Angus McIntyre and Archie O'Brien 2nd and 3rd. Further awards went to Archie O'Brien (Most Improved), Taj Duff (Sportsmanship/Presidents Award) and Will Hailes (Novice Encouragement award). 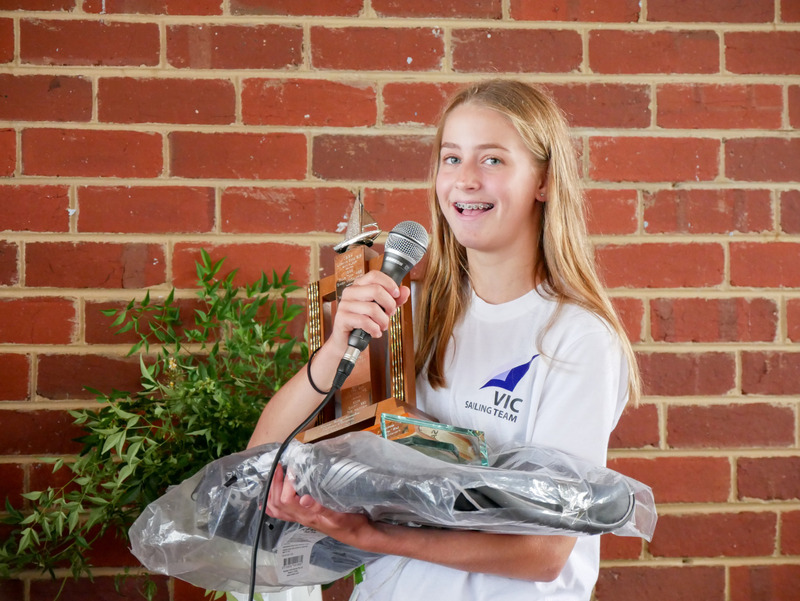 Congratulations to all the kids who took part, and a huge thanks to Parkdale Yacht club and all the volunteers for making the event so enjoyable and successful!